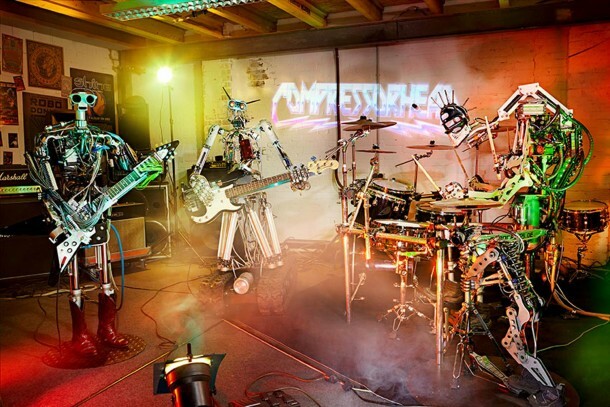 How many of you have heard about the robo-rock group known as Compressorhead? 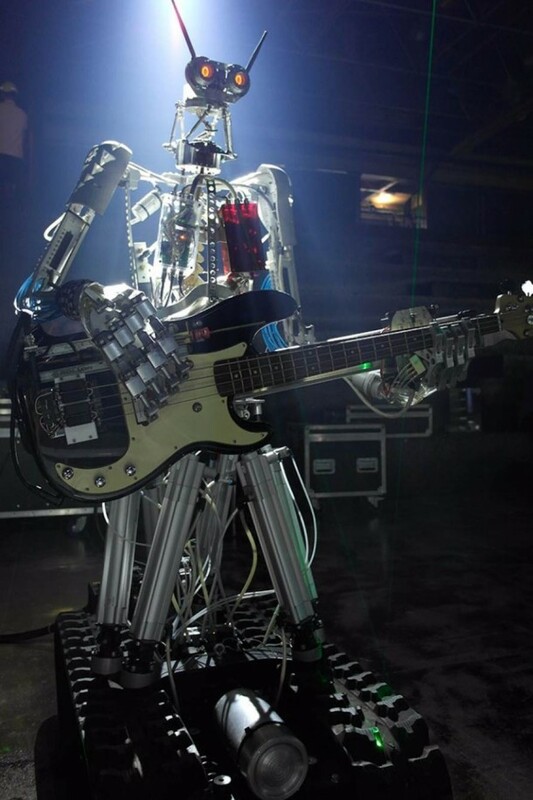 It is a heavy metal bot band that is based in Berlin and it has recently turned to Kickstarter in its search for a new lead singer, robotic lead singer of course. 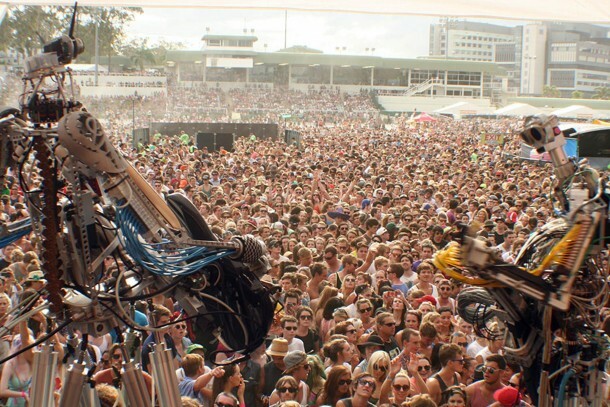 The band has been rocking the stage as a two-member band since 2012. The team included Stickboy (drums) and Fingers (guitar)! The third member, Bones (bass), joined the gang in January 2013. 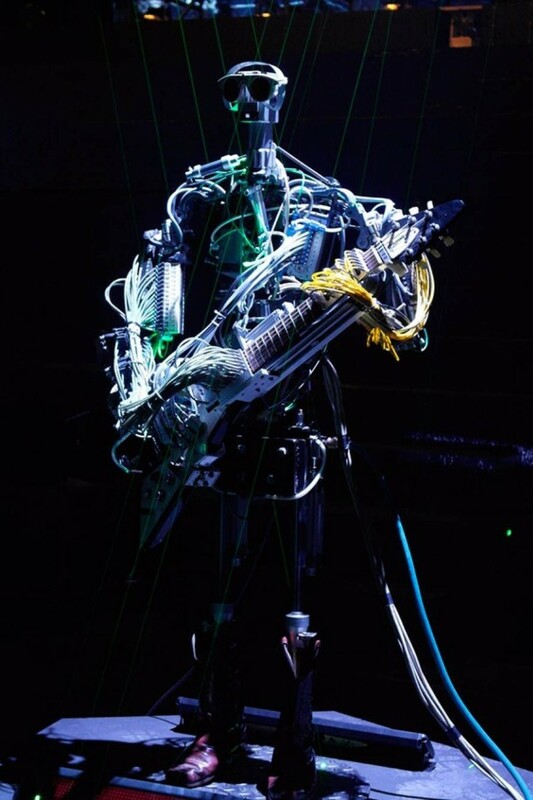 The Compressorhead has a shot at recording its first album now and is looking for a singer and second guitarist to join the band and bring 14 original songs to life that have been penned especially for the bad by Canadian musician Mr. Wright of NoMeansNo, The Hanson Brothers and D.O.A. fame. Moving back to the band’s first members again, Stickboy was created in 2007 and features four-stick wielding arms and is controlled over MIDI. 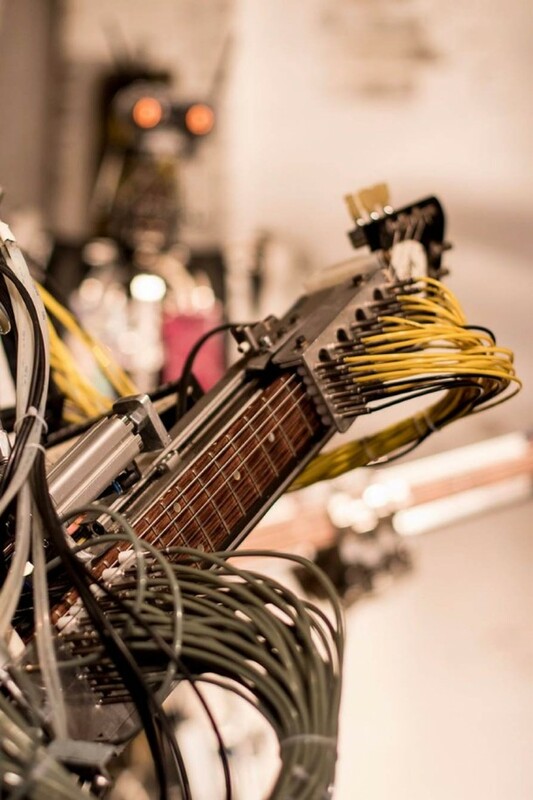 The next member, Fingers, joined the band in 2009 and sports 78 ‘fingers’, two slides and seven dampers and is a master at playing a Gibson Flying V guitar that has a Min-E-Tune system. The guitar makes use of a TC Electronics G-Major effects units that employs a Marshal JVM 410H amp and twin cabs. The campaign on Kickstarter will run till 5th December with the early perks going out to backers in January 2016 and the album’s copy in the middle of next year. 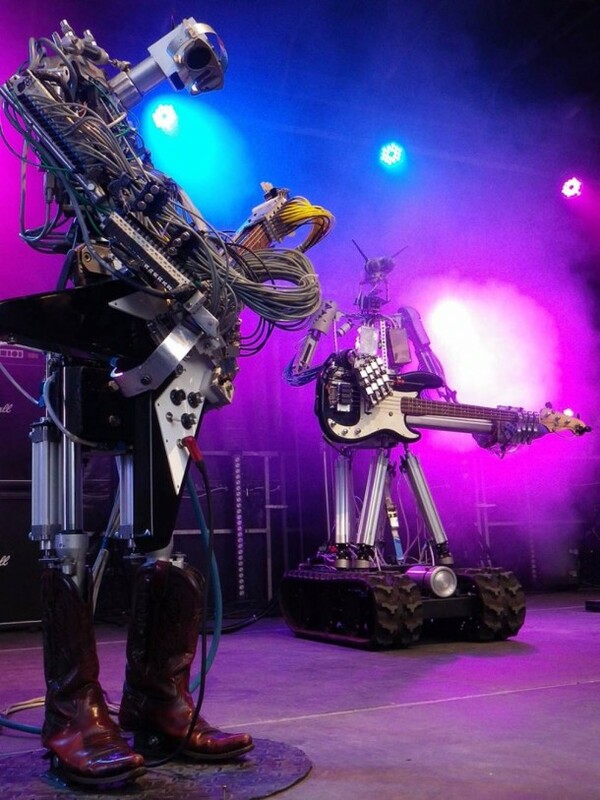 Check the band out below and let us know what you think of this amazing robotic band.